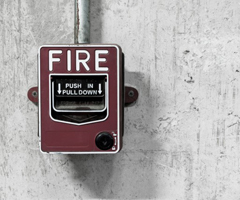 Fire alarm systems are the most important and essential safety measure for any home or business, and while you may hope that you never have to use them, it is imperative that these systems provide reliable detection and warning in the event of a fire. 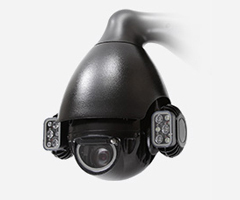 At IDS we design systems to meet the specific needs of customers in properties and establishments of all sizes, providing state-of-the-art fire detection technology and professional installation, to ensure that the systems being installed meet the strict standards needed to provide maximum safety. In addition to our installation service, we also provide the added benefit of a 24/7 call out and engineering service, along with a fire alarm monitoring service. In order to ensure that your fire alarm system is functioning properly, and continues to deliver the high standard of safety expected, our call out service will help to solve any issues you are having with your system. Our fire alarm monitoring service will also provide additional support in the case of fire alarm activation, to ensure that the situation is able to be addressed as promptly and appropriately as possible. Whether you simply need a conventional alarm, or a networked, addressable fire safety solution, we can provide a carefully considered and safely installed system, which will be monitored and maintained to the highest possible standard. If you'd like to find out more about our fire alarm monitoring service and safety systems, then get in touch today by calling 02920 753251, or be filling in our simple enquiry form here. Give us a call today on 029 20 753 251 and let our verified installers set up your door entry system! If you want to protect your premises with a secure and modern access control system, we at IDS Security Systems Ltd are the people to call. Not only will we supply your door entry system, we'll also install it for you and make sure it's functioning properly. 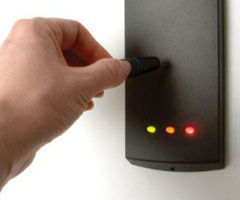 Our experienced access control installers are verified by all of our suppliers, so you know that we'll get your new system up and running correctly and efficiently. Your IDS engineer will also be happy to answer any questions you might have about the technology and how to use it - we want to make sure that you're completely comfortable with your state-of-the-art door entry system, so please don't be afraid to let our installer know if there's anything you're unsure of! The IDS Security office is located in Cardiff, but our engineers are happy to travel! We've installed access control systems for clients all over South Wales and South West England, so feel free to get in touch even if you're based some distance from our own headquarters. Click here to learn more about our access control / door entry services, or contact us now to request an installation quote!